Ledgeview Partners invites you to the second meeting of the year for the Salesforce Wisconsin Nonprofit Group in Appleton, Wisconsin. 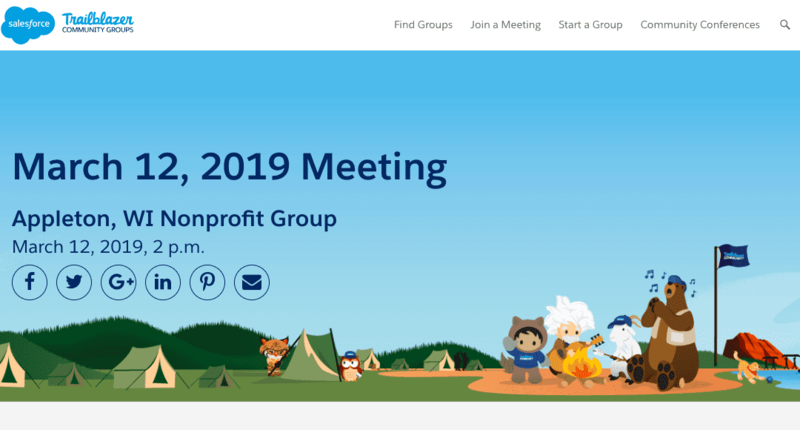 During this session, you will meet (or reconnect with) like-minded individuals who want to know more about how thriving nonprofits use Salesforce to exceed their goals, becoming more knowledgable, and connecting more deeply with their donors, volunteers, and members. We are excited to welcome you back to Ledgeview Partners for the second meeting of the year, per the success of the collaborations during the first meeting – what an awesome bunch of users we have in this community! We look forward to your attendance to help shape the group’s learning objectives moving forward into 2019.